Michael Reed, known as “Mike Reed” is a MC, Entertainer, & Promoter based out of Mississippi. He stands out with his very energetic presence, savvy microphone sayings, and knowledge of music. He motivates a crowd through his charisma and liveliness known as “turning up”. Mike fell in love with music at an early age when his father introduced him to several genres of music including, hip hop, r&b, reggae, soft rock, pop, etc. Growing up Mike Reed was always known for having the hottest music first and also rapping in class every day. Mike didn’t realize how talented he was at rapping until he won a school “Freestyle Friday”, which crowned him the best rapper at his high school. Mike began his MC and promoting career in 2009 at Mississippi Valley State University. Then in 2010, Mike joined forces with Cool Running Dj Ipod da DJ, Famous Amos, Hittmenn DJ Homa, and Carlton Burkhead to form Full House Entertainment, a movement that has changed the entire party landscape in the state of Mississippi. Through the movement Mike Reed became one of the most popular figures on the college scene in Mississippi. On every college campus, people knew who Mike Reed was; they either knew the name or the face. Mike Reed remains focused and continues to strive at his goal of being well rounded including Djing, promoting, rapping, and also breaking records. 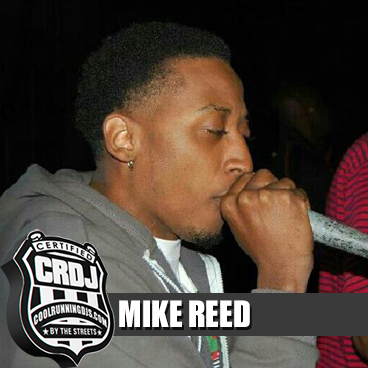 Mike Reed…..not a name….but a name brand!! !